Home Production Studios Film Producing Company "OY ART"
Film Producing Company "OY ART"
Oy Art is a film producing company that specializes in producing Central Asian and Eastern full length, art house films. The films aesthetically portray Central Asian and Eastern lifestyles, philosophy, culture, customs, traditions etc. Oy Art aims at co-production with at least one of the Member States of the European Union. However, the company has an international approach to marketing and business strategy and is actively seeking contacts and partnership with other international markets. 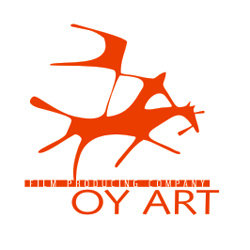 Oy Art company was officially founded in November 2004. In 2006 the company started producing short fiction films of young film directors. For the present time it has a portfolio of films and projects of the most acclaimed Central-Asian film directors. Oy Art actively takes part in different projects developing Kyrgyz cinema. In 2005 Oy Art initiated discussions of leaders in cinema sector in order to work out target programme “Kyrgyz cinema – 2010”. The programme covers all directions of cinema development – from film education to film distribution.